Ignoring the okra once again, I had the opportunity this morning to try a new recipe. This one is definitely a keeper! 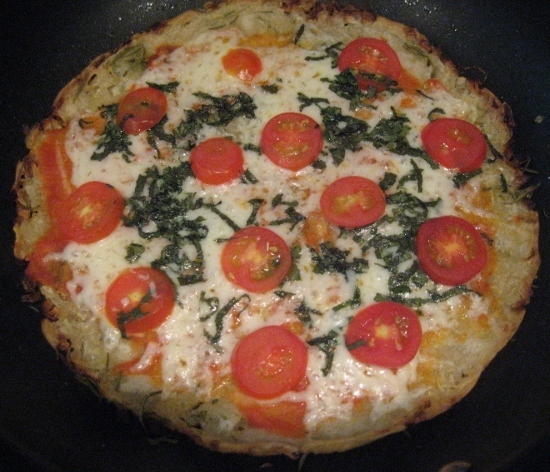 Based on FrugalFeeding’s Lavash Flatbreads (a great blog, I recommend checking it out! ), these breads/crackers are wonderful and incredibly forgiving – I completely mangled the cooking process and they still were delicious. Made from from flour, salt, yeast, olive oil and water, the ingredients are simple. I topped mine with a bit more olive oil, parmesan, rosemary and kosher salt. So, how did I mangle the process? It all started out well – mix the ingredients together and knead for 10 minutes (I found a new series to start watching on Netflix on my iPad). So far so good. Then let rise 90 minutes. Ah, the problem. I was busy on an errand 90 minutes later…would there be repercussions for over-rising? (Apparently not significant ones…). After a bit longer than 90 minutes, I took on the rolling-out process. I thought I might be adventurous (aka lazy) and try the pasta machine instead of a rolling pin. The first bit of dough I sent through was thin and broke up a bit. I readjusted the machine and popped out the other free form flat breads – is artisan the word? The results are a thicker flatbread than the original recipe but still very good. (Note: the first too thin one came out like a terrific cracker and I ate it before I could take a picture). The next time I bake these, I will try to follow the recipe more closely and go with the more cracker-like thickness. 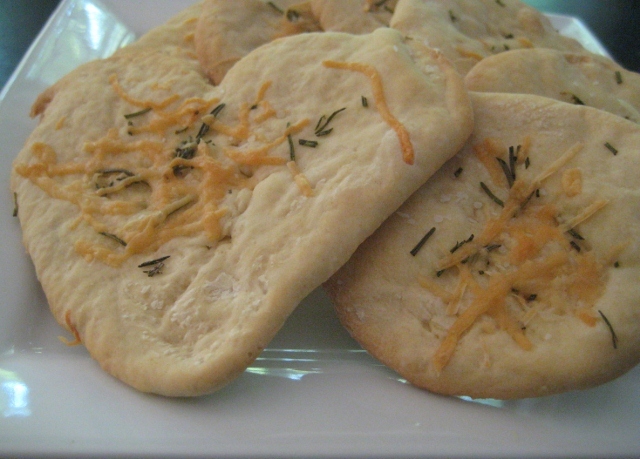 However, we will certainly enjoy these flatbreads (probably more than the okra).